When it comes to the general election, the NHS will be of greater importance to voters than the economy, a new poll has revealed. The ComRes results, compiled for The Independent newspaper, show that the public health service is now top of the electorate’s list of concerns, after recent Accident and Emergency (A&E) crises suggested the NHS was in need of more funding, making Labour’s “wealth versus health” election campaign far more realistic. 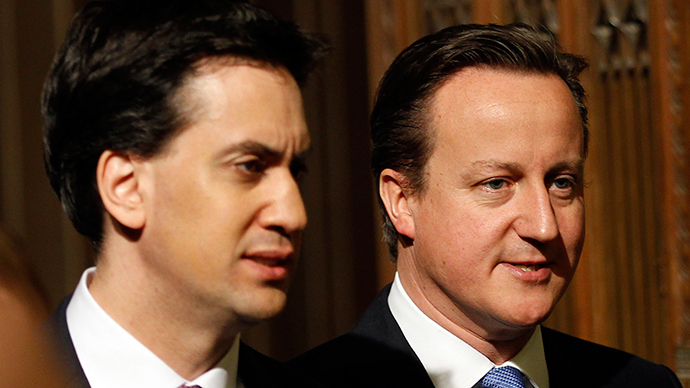 The results of the poll come as both Labour leader Ed Miliband and Conservative Prime Minister David Cameron outline their health policies for the next government. Speaking in Trafford, Manchester, on Tuesday, Miliband described his “10 year plan” for the health service, which will include longer home visits to the elderly, after it was revealed that many home care staff were forced to choose between bathing and feeding their patients due to the 15-minute time limit. He also said Labour would recruit 5,000 new home care workers and impose more thorough safety checks for those at risk of hospitalization. Prime Minister David Cameron told the BBC that rather than investing in healthcare for the elderly, the Conservatives would continue to protect pensioner benefits from further welfare cuts planned for after the elections. All three major parties, the Liberal Democrat coalition partners included, claim they will maintain high levels of funding for the health service. According to the ComRes results, 59 percent of respondents said that when choosing who to vote for, the policies on healthcare and the NHS would matter more than those on the economy. More women than men prioritize healthcare. Some 67 percent of women said NHS policies would matter more, whereas 50 percent of men believe the same. The Conservatives promised they would “ring-fence” and “protect” NHS funding, while the Liberal Democrats said they would meet “in full” the £8 billion that NHS managers have said is needed by 2020. In his speech today, Miliband further said the NHS faces its “most perilous moment in a generation” and would be destroyed by a Tory reelection. “The future of our NHS is at stake at this general election,” he said. He outlined Labour’s healthcare initiatives, which include better staffing, better services and more efficiency.